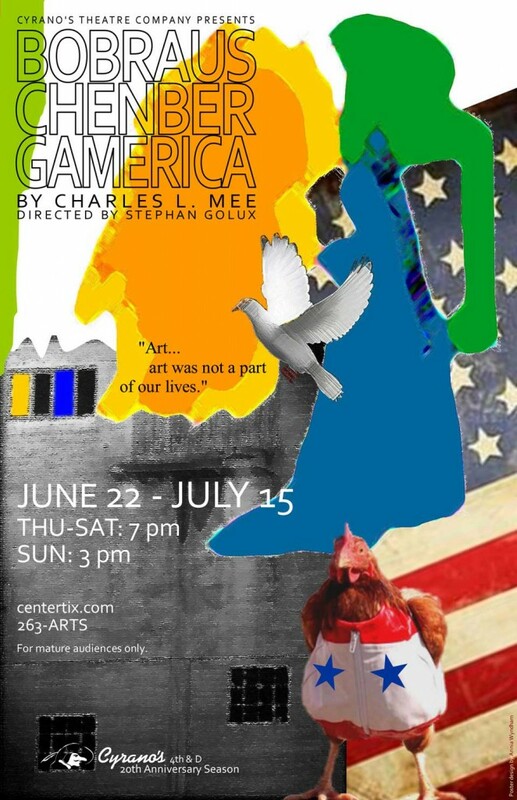 This week on Stage Talk, director Stephan Golux and actor Jeff Aldrich talk with hosts Jean and Steve about Bobrauchenbergamerica opeing June 22 at Cyrano’s. This delightfully dizzying non-linear play written by Charles L. Mee is inspired by Robert Rauschenberg, an artist famous for his collage combine paintings. ORIGINAL BROADCAST: Fri, June 8, 2012 at 2:45 p.m.